During Apple’s press conference on Thursday, the company revealed the new long-rumored 13-inch and 15-inch MacBook Pro models sporting sleek, thin form factors. As we have seen in rumors over the last several months, these laptops feature an embedded OLED touch-capable bar residing above the keyboard. This bar focuses on keeping the user’s hands on the keyboard, providing shortcuts and other tools for creating and manipulating media and information in many MacOS applications. While we do not have the dimensions of Apple’s Touch Bar feature just yet, it expands from one end of the keyboard to the other. The right side has a touch-based power button that includes a fingerprint sensor, equipping the new MacBooks with Apple’s Touch ID security service. This sensor is backed by Apple’s new T1 chip. So what can you do with Apple’s new Touch Bar? 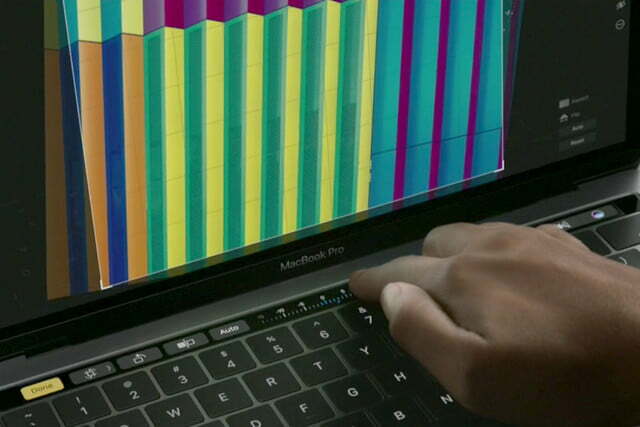 In one demonstration, the company revealed how MacBook owners could quickly compose a document or email, providing simple touch-based controls like making text bold, changing the font color, and more. Essentially, users can manage documents and emails using the huge trackpad with one hand, and alter specific details using the other hand on the Touch Bar. Users can even send an email by merely pressing the command icon on the new OLED strip. In Messages, customers can quickly browse through a library of emoji to choose the appropriate response, or pull up the most-used emoji thus far. There are even means to provide a quick response if users currently have no time to write a complete message, such as loading up a thumbs-up icon and more. Again, there is seemingly no mouse movement involved — both hands are glued to the keyboard area, eliminating the need for an added peripheral. In Safari, Apple’s web browser provides quick navigation features for the Touch Bar. For instance, it will display thumbnails of all the open tabs that web surfers can scroll through and select. There is also a “plus” button for opening a new tab and means for loading the user’s favorite sites in one horizontal listing. Apple Pay customers can also make secure purchases online through Safari by placing their finger on the Touch ID button. Video and photo manipulation on the new MacBook Pros got easier too. 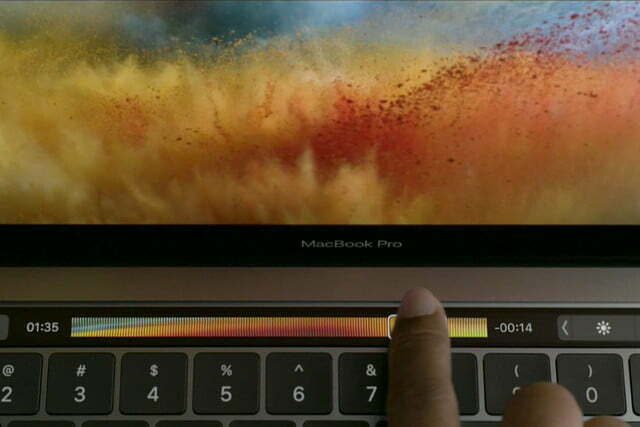 Thanks to the Touch Bar, users can play video forward and backward with the slide of a finger across the narrow OLED strip. Images can be fully rotated and quickly leveled with a simple touch, while the lighting can be adjusted, effects and filters can be applied, and so on. There is even a virtual button to see the before and after states of the edited image. Next, in Finder, the Touch Bar enables users to easily tag files. 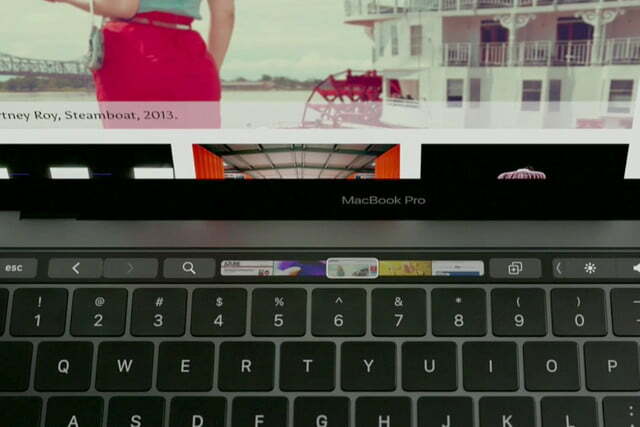 This app provides Touch Bar customization too, allowing users to drag specific virtual buttons on the screen down to the OLED strip, such as screenshot controls and more. 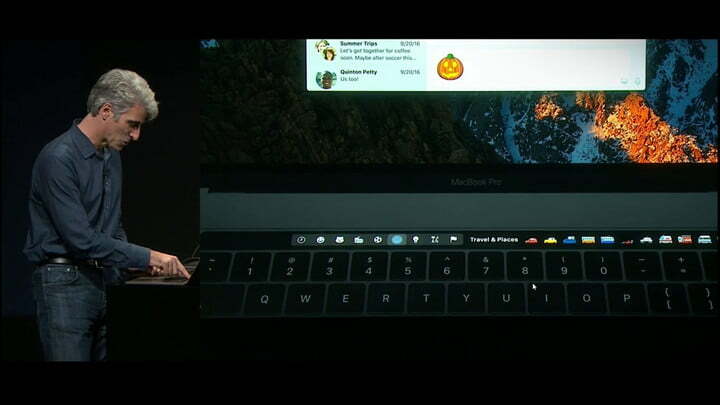 Overall, the Touch Bar is integrated throughout the system and in Apple’s first-party programs to make the MacBook Pro more accessible, productive, and manageable. Owners can use Touch Bar to answer calls in FaceTime, control music playback in iTunes, manage documents in Pages, Keynote, and Videos, control instruments in GarageBand, and even use it in Terminal. In addition to supporting first-party services, Touch Bar can also be used in third-party programs, such as Adobe Photoshop. In one demonstration, the user could throw Photoshop into full-screen mode and move the necessary toolbars down into the Touch Bar. It could be used to adjust the hardness of a brush, the opacity of a color, and so on. Thus, the touchpad can be used to paint while your other hand makes all the needed adjustments. Scroll and tap to adjust blending, or scroll through the edit history by sliding left and right. Support for Touch Bar will be added to Photoshop before the end of 2016. Another on-stage demo used Djay Pro, a professional solution for disc jockeys, which will include full-core functionality on the Touch Bar later in 2016. For instance, DJs can apply a filter in real time while the music plays, adjust the waveforms of each track, and even use the OLED strip to scratch virtual vinyl. Instruments can be added in real time, reverb and echo turned on and off, among other effects. 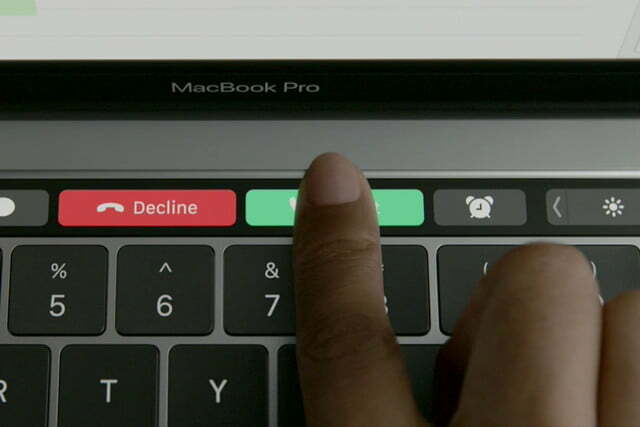 Apple said Microsoft will provide Touch Bar support for its Office suite soon, even Skype for Business. Other programs mentioned included the Affinity Designer software, the Sketch professional design software for Mac, and DaVinci Resolve. Hopefully, we will have more on the Touch Bar specs soon. What we know is that it supports 10-point touch input so users can execute multiple commands with both hands on the OLED strip. In any case, Apple made a huge move with the addition of this feature, just as it did by providing one of the first commercially available mice decades ago. Will the J.J. Abrams-produced 'God Particle' be the next Cloverfield movie?